One of my favorite hobbies would have to be shopping! I love shopping when I’m bored, stressed, frustrated; I guess you can say that I’m a shop-a-holic! But when it comes to deals and steals, it’s an absolute high! 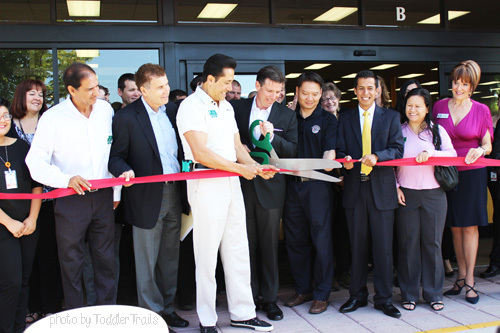 This past weekend, Goodwill of Orange County just opened another location, minutes from my home. (TROUBLE!!!) Now, you can find “Find The Good” at the new location in Westminster. Friday, June 13th, Goodwill of Orange County celebrated in Westminster at the grand opening of their newest location: 6741 Westminster Boulevard in Westminster. This morning, the executives of Goodwill, Mayor, Chamber of Commerce representatives as well as the staff were all smiles this morning in anticipation of the ribbon cutting ceremony. Months of planning all came down to this moment, the Grand Opening. To the right of the store, it was impressive the line of anxious shoppers waiting to get their hands on the best bargains. In anticipation of the Grand Opening, Goodwill put out a little incentive: the first 50 guests were awarded a $10 gift card. And seeing the giant baskets filled with everything under the sun, I’d say they got their money’s worth! 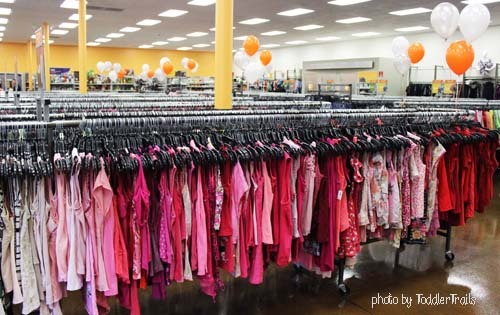 I live next to a rather large Goodwill store here in Anaheim, and donate items regularly, but amazingly have not yet step foot in that location. However, after seeing the new retail space in Westminster, I’m quite impressed! 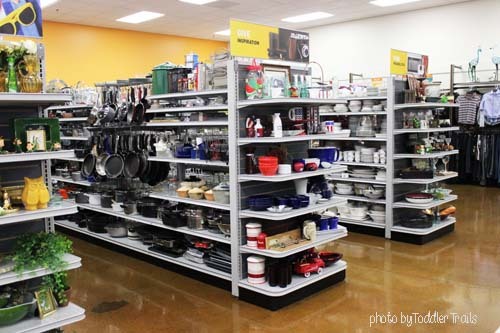 A few local bloggers and I snuck into the store to capture some “before the mob” photos of some of the finds at Goodwill. There were rows and rows of beautifully arranged clothing – it literally looked like a rainbow of fabrics. 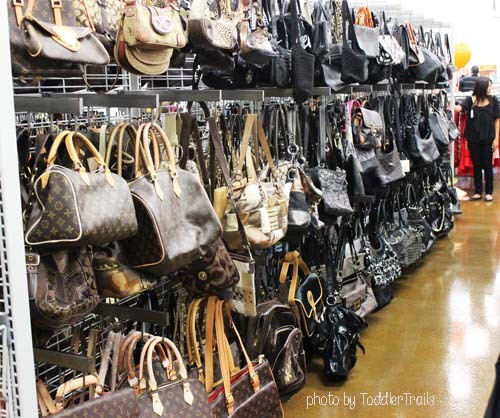 And the purse selection – now that was a gold mind: Louis Vuitton, Coach and Michael Kors were just a few of the brands I noticed, and at awesome price points. I just love to browse through the housewares section of stores, because you can find the most unique items you never knew you NEEDED! So, I’m sure you’re wondering what this “Shop-A-Holic” picked up. 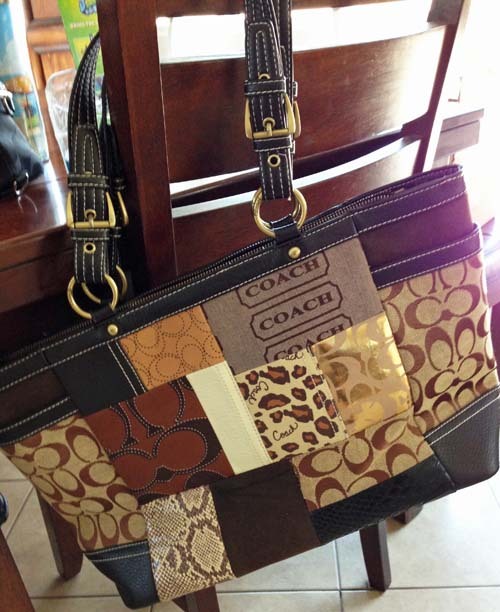 Well, I fell in love with this beautiful Coach bag! I also picked up a pair of Monster High slippers and a couple of trinket toys for the princess as well as a foam rocket launcher and a Skylanders Swapforce figure for my son. Amazingly, all of the items were still in packaging (except for the Coach bag). The best part about Goodwill of Orange County? They give back! Did you know that approximately 92% of every incoming dollar directly supports their programs and services which creates jobs and provides employment training people with disabilitis and other barriers in Orange County? 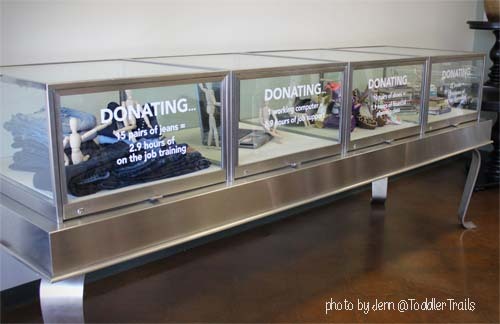 Certainly a great reason to donate AND shop your local store. 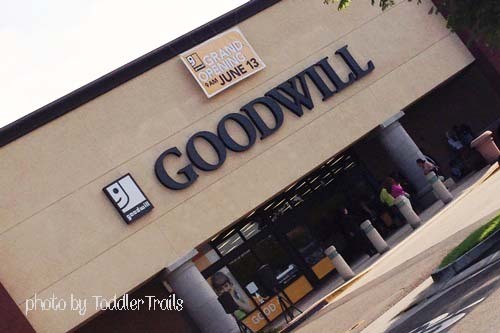 For more information about Goodwill, current and new locations opening, visit the Goodwill website. I was provided with the opportunity for review. The opinions are completely my own based on my experience.